At Aspirinox Alloys Inc, we are most reliable and fastest dealer, exporter, and supplier of Incoloy 825 Bars, Rods & Wires in India and throughout worldwide countries. These Incoloy 825 Round Bars are consists of nickel-iron-chromium alloy content with additions of molybdenum, copper and titanium elements. 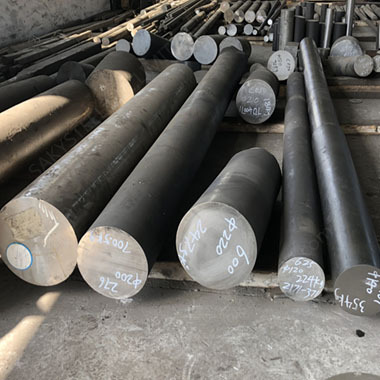 These Incoloy 825 Forged Bars are widely used in a variety of high temperatures applications such as chemical processing, pollution-control equipment, oil and gas well piping, nuclear fuel reprocessing, acid production, pickling equipment and other Industrial applications. The offered range of Incoloy 825 Rods at Aspirinox Alloys Inc is also available in different and custom-made specifications as per client’s needs. We have a largest Alloy 825 Bars ready stock which comes in various shapes such as flat, rectangular, square, and hollow etc. with beveled, annealed surface finish. Please send an enquiry or call us now to get a free quote! Specifications for Incoloy 825 Bars, Rods & Wires. If any specification is not mentioned here, please use the contact button for quick quote. Contact us or click on the below button to request a latest Incoloy 825 Bars, Rods & Wires price list. Aspirinox Alloys INC is dedicated to providing the world-class Incoloy 825 Bars, Rods & Wires that cater to all your demands at very competitive rates.